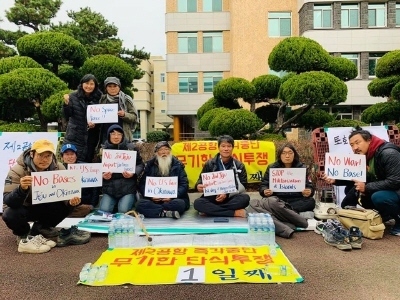 Today, Dec. 19th, Kim Kyug-bae started the 1st day huger strike agaist the 2nd Jeju airport (air force base) project, taking sit-in across the Islad goverment hall. In solidarity with him, people have stayed with him together from 10 am. 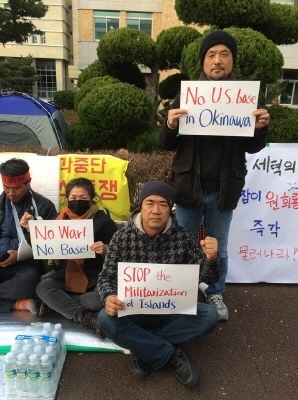 We also express our solidarity with the people in Okinawa. 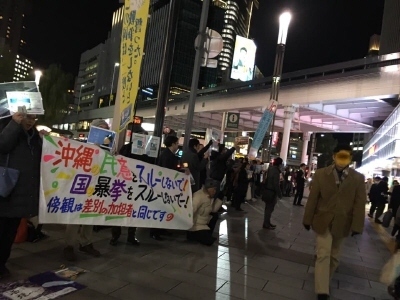 No bases, no war! Stop the Militarization of Islands! No Space force!